South Africa is a country of extremes, where poverty-stricken shanties exist alongside first-world art galleries, entertainment venues, sports arenas and restaurants. Its magnificent landscapes include snow-dusted mountains and areas of arid semi-desert; whilst its twin coasts support incredible biodiversity. With countless ethnic groups and no fewer than 11 official languages, its human culture is just as diverse. 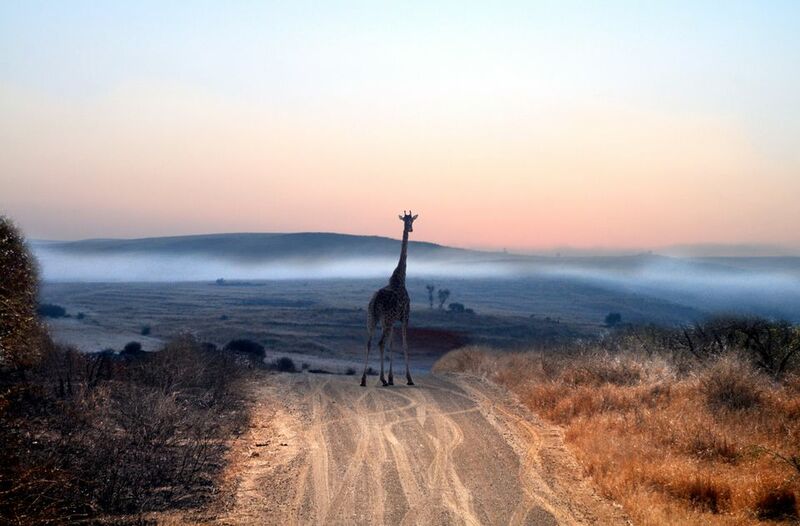 Whether you're looking for a beach vacation, a city break or an escape into the game-filled bush, South Africa has the ability to be all things to all people. South Africa is situated at the southern tip of Africa. It shares borders with Botswana, Mozambique, Namibia, Lesotho and Swaziland, and its shores are washed by the Indian and Atlantic oceans. South Africa has a total area of 470,693 square miles/1,219,090 square kilometers, making it slightly less than twice the size of Texas. Unusually, South Africa has three capitals: Pretoria as its administrative capital, Cape Town as its legislative capital, and Bloemfontein as its judicial capital. According to the CIA World Factbook, 2018 estimates put South Africa's population at just under 55 million people. South Africa has 11 official languages: Afrikaans, English, Ndebele, Northern Sotho, Sotho, Swazi, Tsonga, Tswana, Venda, Xhosa, and Zulu. Of these, Zulu is the most widely spoken, followed by Xhosa, then Afrikaans, then English. Christianity is the most widely practiced religion in South Africa, with nearly 80% of the population identifying as Christian during a 2001 census. Islam, Hinduism and indigenous beliefs contribute to the remaining 20%. South Africa's currency is the South African rand. For up-to-date conversions, use this online currency converter. South Africa's seasons are the reverse of those in the northern hemisphere. Summer lasts from December to February and winter lasts from June to August. Although weather patterns differ from region to region, summers are generally warm with average temperatures of around 77°F/25°C, while winter temperatures can fall below freezing, especially in the far south. In the Western Cape, winter is the rainiest season; but further north near Johannesburg and Durban, the rains coincide with the arrival of summer. Each season has its benefits and there is no bad time to visit South Africa. The optimum time to visit depends on where you're going and what you want to do while you're there. Generally speaking, game-viewing is best during the dry season (May to September) when animals are forced to congregate around water sources. Cape Town is most pleasant during the warmer summer months (November to April), while winter (June to August) often offers the best prices for tours and accommodation. Consistently ranked as one of the planet's most beautiful cities, the Mother City is made unforgettable by its breathtaking scenery. Pristine beaches, picturesque vineyards and the iconic silhouette of Table Mountain are all part of its charm. In Cape Town, you can tour apartheid landmarks, dive with great white sharks and sample world-class restaurants all in a single day. Stretching along South Africa's scenic east coast from Mossel Bay to Storms River, the Garden Route offers 125 miles/200 kilometers of adventure hotspots, quaint seaside towns and mesmerizing ocean views. Go golfing in George, discover untouched beaches in Wilderness, sample fresh oysters in Knysna or keep an eye out for whales in Plettenberg Bay. Kruger National Park covers nearly two million hectares of immaculately preserved wilderness and offers one of the best safari experiences on the continent. Here, you can explore the bush on a walking safari, spend a night or two in a luxury camp and come face-to-face with some of Africa's most iconic animals. This includes the Big Five: lion, leopard, buffalo, rhino and elephant. The Drakensberg Mountains constitute the country's highest mountain range and one of the most beautiful places in South Africa. Stretching for 620 miles/1,000 kilometers, the mountains offer endless opportunities for outdoor activities including hiking, birdwatching, horse-riding and rock climbing. They are also home to the richest collection of San rock paintings in Southern Africa. Located on South Africa's sunny KwaZulu-Natal coast, Durban is the ultimate seaside playground. The weather remains balmy all year round, and the beaches are untouched stretches of golden sand that seem to go on forever. From surfing to scuba diving, watersports are a key attraction, while the city's large Indian population has inspired a cuisine famous for its spicy curries. Most overseas visitors will enter the country through O.R. Tambo International Airport in Johannesburg. From there, you can catch regular connecting flights to major hubs all over the country, including Cape Town and Durban. Most nationalities can enter the country without a visa for up to 90 days, but it's important to check the South African Department of Home Affairs website for up-to-date information. Please be aware that there are specific requirements for those traveling to South Africa with children. There are no compulsory vaccines for travel to South Africa unless you're visiting from a country where yellow fever is endemic. If this is the case, you will need to provide proof of yellow fever vaccination on arrival. Recommended vaccines include hepatitis A and typhoid, and anti-malaria prophylactics may be necessary if you're visiting regions in the far northeast of the country.